It’s time to rethink the Nashville Children’s Theatre. For many lifelong Nashvillians, the Children’s Theatre is remembered fondly as a place for grade school field trips. Those field trips are still a huge part of the theatre’s operations serving over 60,000 students each year. But that’s just one program of many offered by the theatre. Founded in 1931, NCT is the oldest professional children’s theatre in the United States. They moved to their current location in 1960. That entire space was re-imagined and renovated in 2007. 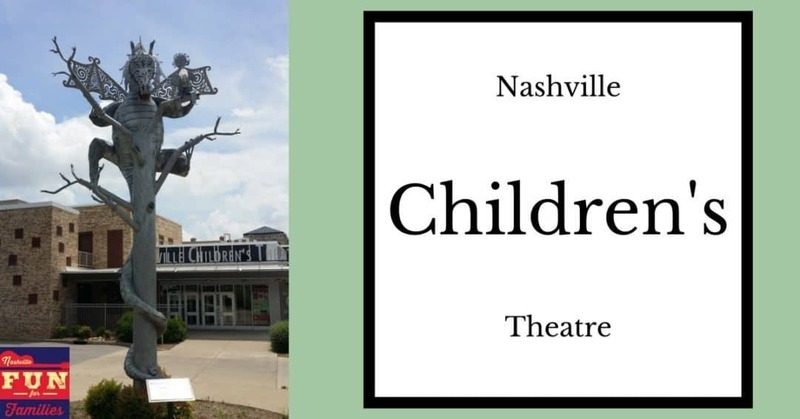 If you haven’t been to Nashville Children’s Theatre since you were a kid yourself, it’s time to go back! The renovation created a modern accessible building without sacrificing the historic feel of the space. They even shifted the costumers into the creative department (a big deal for those that are familiar with the theatre)! The Hill Theatre (named after benefactors George R. and Ann Stahlman Hill) seats 540 people. This is obviously the heart of Nashville Children’s Theatre. The brightly colored walls and seats remind you that this space was designed for children. But don’t worry, there’s plenty of adult friendly amenities. My favorite are the huge seats. They are not child sized! And during the renovation the new seats were spaced so you don’t have someone directly in front of you. One of the most unique areas in the Hill Theatre is the Comfort Room. This room, in the back of the theatre, is designed for those younger audience members that can’t quite make it through a performance without talking or crying. Parents can still view and hear the play from the comfort room but the audience can’t hear your child. It’s also designed so you can keep an eye on your quiet older child in the theatre while you deal with little brother or sister in the comfort room. Trust me. You aren’t going to find this amenity anywhere else. It’s a wonderful option for parents who might normally skip a theatre experience and has even been used by celebrity visitors – Keith Urban and Nicole Kidman. Nashville Children’s Theatre usually does 5 shows per season and the season generally runs from September through May. These shows utilize the same high quality actors that you are likely to see at any of the large theaters in Nashville. Don’t let the name of the theatre confuse you. Most of the actors are not children! NCT offers one of the best entertainment values in the Middle Tennessee area. Tickets run from $15 – $20 depending on your method of purchase. That means for not much more than the price of a movie ticket, you can introduce your child to the beauty of a live theatre performance. (And mom and dad get to enjoy it too!) You can purchase single tickets, whole season subscriptions or flex pass packages. For weekend shows, there are kid friendly activities in the lobby one hour before the performance time. NCT also offers a special sensory friendly performance for each of their shows. The volume is lowered for these performances and an usher will raise a glow light to indicate when something is about to happen onstage that might excite or frighten a child. Kids are free to be themselves during these shows and there is no expectation for them to sit still or be silent. Have you ever wondered why there is a Dragon on the theatre’s logo? Originally (think 100 years ago or more) Nashville was represented by a Griffin. It was such a part of the culture that Griffins were added to the corners of the Parthenon (the one deviation from the Parthenon in Greece). You can still see them today. When the Children’s Theatre was looking for a mascot they wanted something that paid tribute to Nashville so they selected another magical creature – a dragon, which appropriately ties into the magical experience kids get from a performance. Nashville Children’s Theatre also offers a variety of educational opportunities. They have summer camps for ages 3-18 exploring all areas of theatrical production. There are classes each week during the school year as well. Scout Workshops and Homeschool Drama Clubs are also available. So, check the schedule and treat your family to a show. You won’t regret it! Hours & Dates vary for each production.